Renowned for its ‘best in class’ nationwide collection and delivery service of time and temperature critical chilled and frozen goods, Bellshill and Dundee based Long Lane Deliveries has enhanced its client focused capabilities, with the addition of Thorworld Dock Plates. Operating a fleet of 50+ vehicles from a total of 18 loading bays, Long Lane Deliveries already uses four Thorworld hinged bridge plates to provide safe, effective links from dock to vehicle – a system that has proved highly successful when loading and unloading smaller, transit sized vans. “The hinged bridge plates are an ideal solution for connecting the unavoidable gap between our purpose-built van dock and the despatch vehicles,” explains Raymond Nelson Project Manager at Long Lane Deliveries. Raymond refers to his firm’s recent purchase of two Thorworld Dock Plates – high tensile aluminium plates, with a built-in anti-slip finish, lifting handles and locking legs designed to prevent movement. The successful delivery firm – which distributes for amongst others, Tesco, Rowan Glen and Muller etc – prides itself on working to a philosophy whereby goods are delivered in a timely and safe manner, and in the same condition as when they left the depot, applying the adage ‘In temp – in time – intact – in budget’ to its business approach. Explaining why the relevant capabilities of the company’s new loading plate chime with its operating ethos, Ian Langan at Thorworld Industries says: “Whilst heavy applications and fork lift vehicles may require a Thorworld Dockboard, the custom-built Dockplate presents an ideal solution to get deliveries to customers safely, as expected and on time. 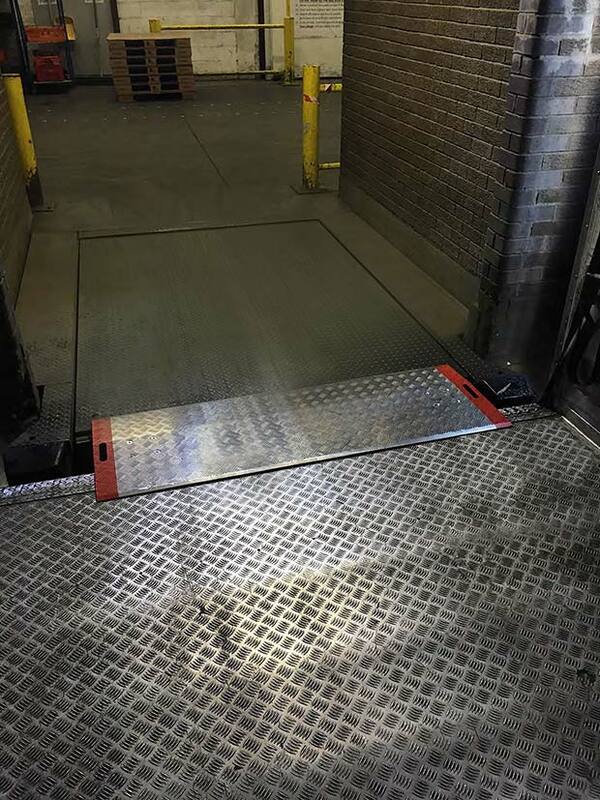 It can be for use with pallet trucks, sack trucks and roll cages, and can also enable loading access for pedestrians without the risk of hazard. “We’re delighted with this latest bit of Thorworld kit,” Raymond continues. “By simply contacting the company through its website contact page, we were able to send over a description of what we were looking for. Ian then replied with a design of the very piece of apparatus I had in mind. “The plates fit the bill completely and due to the quality of Thorworld’s products and the standard of service I have received, I wouldn’t hesitate in buying from Ian and the team again.